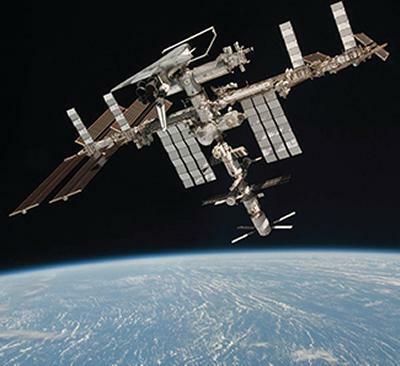 Pioneering research from the University of Southampton into the health impacts of spaceflight has been identified as a possible experiment to be conducted by British astronaut Tim Peake on his maiden voyage to the International Space Station (ISS) later this year. In a recent international call for new life sciences experiments to be flown on the ISS, coordinated by NASA, the European Space Agency (ESA) and the Japanese and Canadian space agencies, three new experiments led by UK research teams were selected by ESA for further consideration. Of these, an experiment led by Professor Donna Davies from the University of Southampton was one of the two top-ranked proposals in Europe in terms of scientific merit, judged to be ‘outstanding’ by the international review panel. Professor Davies is part of an international team who will investigate how a lack of gravity affects the respiratory system, using a novel 3D model of human airways. The aim of the experiments is to improve our understanding of human health here on Earth, as well as the effects of long duration human space travel. The strategy is published ahead of British ESA astronaut Tim Peake’s maiden voyage, expected in December 2015. Tim will be the first British astronaut to visit the International Space Station (ISS) and during his six month mission will conduct a range of scientific experiments, which will increase knowledge, deliver benefits on Earth and test technologies for future missions further afield, such as to the Moon or Mars.